Student loan rehabilitation is the process of recovering a loan from default status. Each student loan lender will have unique requirements for rehabilitation, and some will not permit rehabilitation at all. You can contact your lender and inquire about rehabilitation programs. A rehabilitation program is popular for all federal student loans. A borrower who has been unable to repay debts for a period of time due to a hardship can begin paying the debt again. They are given the opportunity to bring the loan out of default. Typically, this requires nine payments in full within 20 days of their due date. The payments must occur within a 10 month period. If at any point these conditions are not met, the loan will remain in default status. If you have any doubt as to whether you will be able to successfully rehabilitate a loan, consider starting with a refinance. By taking a new loan to repay your delinquent debt, you can start making payments to the new lender with a different payment schedule. 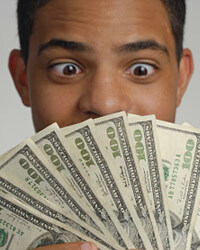 Most lenders will allow to make smaller payments so that you can afford your loans.